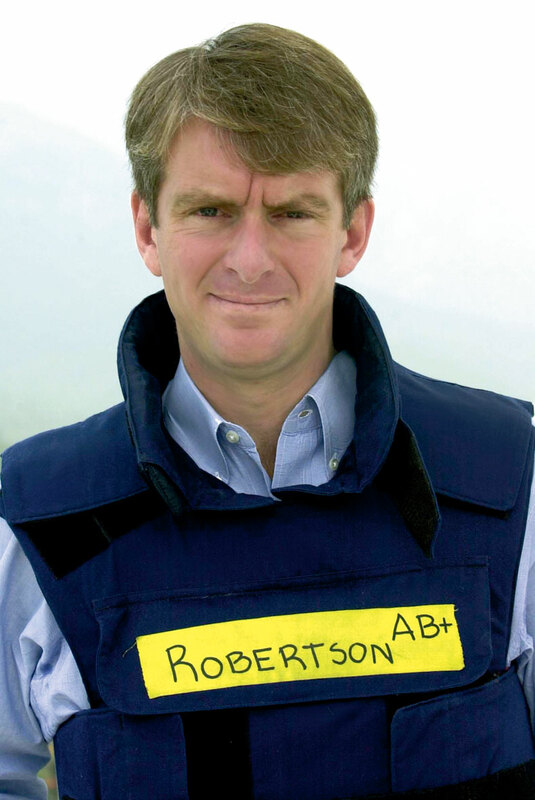 Nic Robertson is a senior international correspondent, based in CNN’s London bureau. He was reporting from Alexandria from January 27th to February 7th. I was in Alexandria from January 27th to February 7th. We got information simply by going out on the streets and talking to people and when that wasn’t possible for us, our local staff filled in the gaps by going out or calling different elements throughout the city. We had no way of telling who was happy to see us and who wasn’t, and as passions and frustration grew, many people perceived reporters as part of the problem and therefore were not welcome. It made videoing anything really tough and therefore tough for us to tell the story; as it’s hard to tell the story of why people are angry and frustrated when they won’t let you video or talk to them. So it was frustrating for us as we tried to communicate the intricacies and nuances of the story to our audience. We had to try to convince pro-government protestors that we wanted to hear from them too, however many of them were not convinced and continued with their aggressive behavior. For the most part, very few shots were fired, but the environment had the potential to turn very hostile very quickly. Like any new situation it can be a little unnerving at first, until you figure out the dynamic; once we grasped that, we tried to deal with it but it wasn’t easy. This was a very serious situation that demanded the best of us as journalists. We have a huge responsibility to report accurately, clearly and fairly and in a situation such as we found in Alexandria that meant focusing on being professional and clear-minded. Without the internet, reporting was a serious challenge but not impossible. We were able to establish communication with our broadcast centre in Atlanta by satellite phone and that kept us operational and able to give live updates. I don’t think I’ve witnessed a government security institution be beaten off the streets and their offices destroyed so quickly before. Very quickly you are in uncharted territory. When the situation is so dynamic and fluid it becomes hard to predict and that made it different than a lot of other scenarios I’ve witnessed in the Middle East. One of the strangest things I saw was a six month old baby being thrown in the air by the crowd. They were doing it as a celebration, but the poor baby was being held on its side and had no idea what was going on. The look on the child’s face was part impassive, part ‘what is all this?’ and part just totally unimpressed. It just seemed to sum up the mix of euphoria, anger and excitement in the whole situation. One night we went to cover a large demonstration but before we got there we were stopped by a group of ‘neighbourhood watch’ guys with wooden sticks. There was total chaos and pandemonium as they tried to figure out what they should do with us. Some wanted to let us cover the protest; the others demanded our passports and called us spies before leading us away. We had no idea where we were being taken, everyone was screaming, shouting and pushing. When we tried to get in our car the stick wielding men wouldn’t let us. That made me very worried. Where were we being taken and by whom? The situation ended when they handed us over to the army, who were immediately very pleasant to us and let us stay with them until the crowd went away. There were other incidents too where we were locked in a building and the man who had the key was attacking our cameraman and other people were coming to help the man. But that ended after about five minutes. I was in Alexandria on January 28th and felt I was witnessing a moment in history and with that comes a huge responsibility to report it in all its facets. We as international reporters are a window on world events and I felt the immense pressure of telling the story, getting it right, bringing context and understanding without cluttering the audience’s view with my own perceptions. That’s our contract with the audience, to witness world-changing events and report them without bias. On Friday Febraury 11th I was in Tahrir. The roar that swelled up from the Square [when it was announced that Mubarak had resigned] was quite amazing. It was an unforgettable moment feeling the euphoria in Tahrir Square and realising how much it was lifting my spirits. The last time I felt that emotional boost was in Bucharest when the people overthrew Ceausescu. No comparison between the two leaders but the happiness people felt was infectious. I think Egypt has a huge capacity to cope with the changes. The country has a wealth of talent and as long as a common shared objective is pursued by all, the outlook will remain positive. For this to happen there must be a genuine willingness on the part of the establishment to recognise these past few weeks as a turning point in Egypt’s history, that there can be no going back. No doubt there will be frustrations and bumps on the road but I think the optimism and good will we have seen so far will endure.